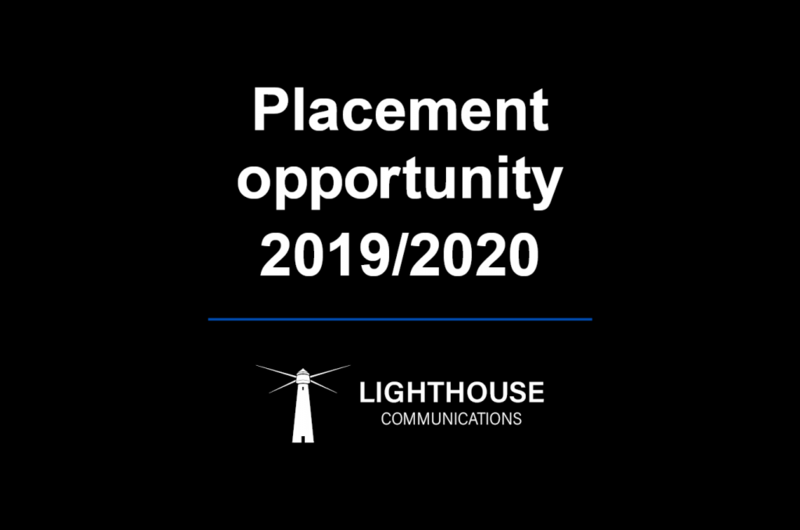 Lighthouse Communications, which this year celebrates its tenth year in business, is seeking a placement student to join the team for 2019/2020. Working with some of the biggest brands in Northern Ireland from industries such as tourism, advanced manufacturing, business advisory and legal, Lighthouse Communications provides counsel to senior business leaders and delivers creative marketing communications strategies that drive influence amongst our clients’ stakeholders. We are committed to the personal and professional development of our team, including our placement students who receive ongoing training and mentoring from a team with a range of disciplines – corporate PR, consumer PR, journalism, marketing, digital communications, multimedia. As a Junior Client Executive, our placement student will play an integral role in the day-to-day management and development of client accounts. As a small team, we are highly motivated, enthusiastic individuals with a real passion for what we do, and ultimately delivering superb results for our clients. We are looking for a placement student that mirrors these attributes and brings with them an eye for detail, organisation and communication skills, and a hunger to carve a successful career in what is a fast-paced, exciting and rewarding industry. For further information about Lighthouse Communications, our team, our work and our clients, you can visit our website at lighthouseni.com or follow us on Facebook, LinkedIn or Twitter. If you are interested in this placement opportunity for 2019/2020, please send your CV with a covering letter to Alyson English, Director at Lighthouse Communications, Alyson@lighthouseni.com by Friday 15th February 2019.